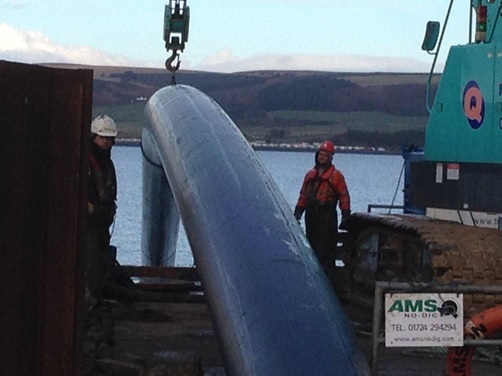 Scottish Water were constructing an 800mm discharge pipeline from the Lock Ryan WwTW in Port Rodie, Stranraer discharging through a diffuser into the Irish Sea. AMS No Dig Ltd, commissioned by contractor Leslie MWH Joint Venture recently completed the installation of the Sea outfall section by HDD techniques. 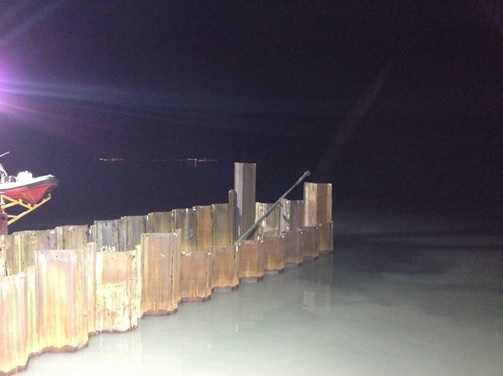 The sea outfall section involved passing under an existing railway line and sea revetment terminating 3m below the sea bed in a pre-constructed cofferdam. The design, planning and approval process took two years to complete before construction commenced in February 2015. AMS were involved throughout the process and prepared detailed construction proposals including commissioning of calculations necessary to gain construction approval from Network Rail and the port authority, the organisation responsible for the Revetment. AMS mobilised to site late January 2015 with site set up completed within seven working days. 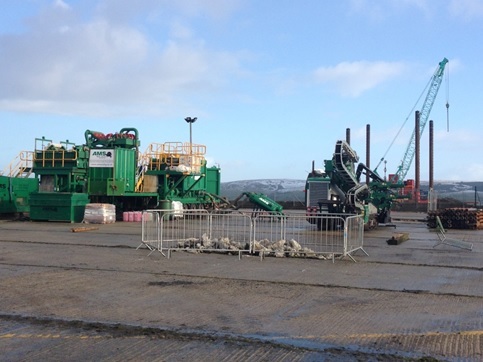 Drilling commenced on the 12th February under 24 hour working conditions which was a requirement of the contract. Pipe installation was completed on 20th February within programme. AMS No-Dig’s Prime Drilling PD60/30 HDD rig met the required specification of the installation works perfectly. The PD 60/30 Drilling Rig is a heavily engineered machine capable of producing 60 tonnes pull force with 30,000 NM of rotary torque.